I have to apologize for not doing any posts recently here. No, I haven’t abandoned this secondary blog of mine. If you want regular updates (Wednesdays and Saturdays), check out my primary blog at Sunnyvillestories.com. 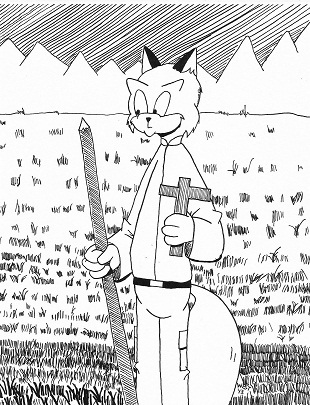 I’m presently working on episode 8 of Sunnyville Stories as well as not one, but TWO books – Sunnyville Stories Volume 2 and my original graphic novel, Von Herling Vampire Hunter. Von Herling is roughly a third of the way completed. I’ve pencilled several pages but have not yet reached the halfway point. There’s still the inking to do. Stay tuned to this blog. I’ll have more updates on my work soon enough.